Citations are everywhere your business is “cited” or mentioned across the Internet. Local citations include your business name, address and phone number or what’s called NAP. Not all citations are equal, some carry more weight and authority than others but all citations must be accurate (exactly the same business name, address and phone number) for Google to weight that against your competitor when determining which website to show first. 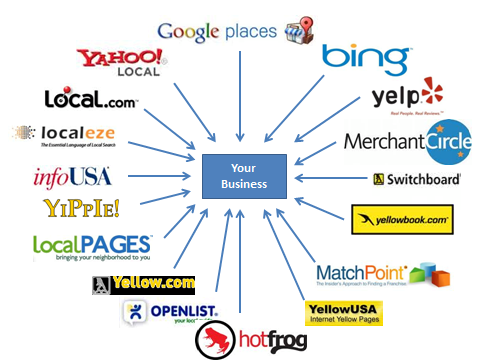 Below is a partial list of directory websites where your business must be “cited”. There’s about 350 different places to list your website.